"Children are not passive absorbers of knowledge; rather, they are active constructors of concepts"
The HIL(Hub for Independent Learning) Project is my attempt to create an individually-paced environment in a public school classroom. I started my project in 2010 by experimenting with podcasting on a few units and allowing students to work at their own pace. I immediately saw the potential and benefits of what this environment can provide the individual. I have been working towards an individualized setting ever since. I believe that an environment in which a student can be respected as an individual is the best place for a student to grow to their full potential. Every student has their differences, but it is how we treat these differences that makes all the difference. Currently in the typical classroom these differences are cast aside in order to conform the student to a set pace determined by a state curriculum. This creates a hostile environment for a majority of the students in which their differences become a hindrance and not an asset to defining who they are. An environment in which the differences of an individual are used as a tool to develop a tolerance and mutual respect between each individual is an environment that schools should strive for. This setting will provide students with a chance to discover who they really are and allow them to plan where they should be heading in their future. The pace of a curriculum in schools should react to the student. A student should be allowed to react to a curriculum’s content, and this reaction should determine pace. Each classroom should encourage the student to take their next step towards their own goal. Mistakes must be respected and not cast aside. They must be seen as necessary piece of the learning process. A student should be allotted the time necessary to make them, react to them, and develop strategies to overcome them and avoid them in the future. The conclusion of each year should be a celebration of what a student has truly achieved. A student should not celebrate that they made it through a year and will never have to do that again. They should celebrate the position their hard-work has left them in and, as a result, the next step that they can take to continue on in their journey. Becoming a life-long learner is a trait that should be naturally developed, not discouraged by the environment a school provides. The concept of the HIL is nothing new. In the early 1900's Helen Parkhurst developed the Dalton Plan. The core concept of the plan was to allow "pupils the freedom and opportunity to develop initiative and self-reliance". Classrooms were called laboratories, I call them hubs. The amount of time and effort spent in a laboratory on a daily basis was determined by the individual student. 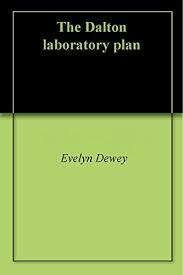 A book titled "The Dalton Laboratory Plan" was published in 1922 that describe the laboratories and how they functioned. I started my project in 2010. I discovered this book in 2014. As I began to read it, I was astonished by how similar my environment is to theirs. The Dalton School still exists. I do not know if the school is still structured in that manner or not. 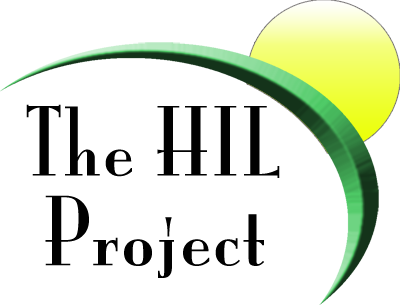 Here is a link to their homepage.